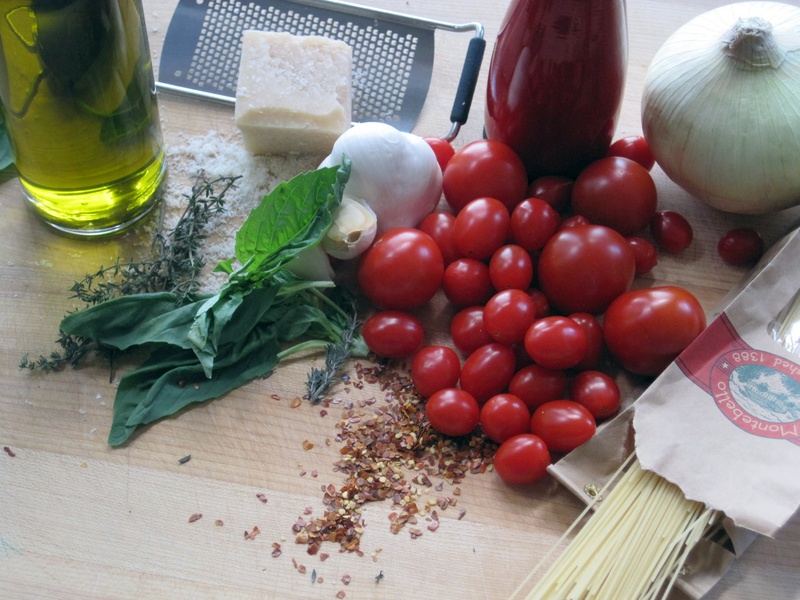 Having to decide what to make for a weeknight meal can be a tough decision after a long day. We want it to be different, taste great and easy to get on the table, right? 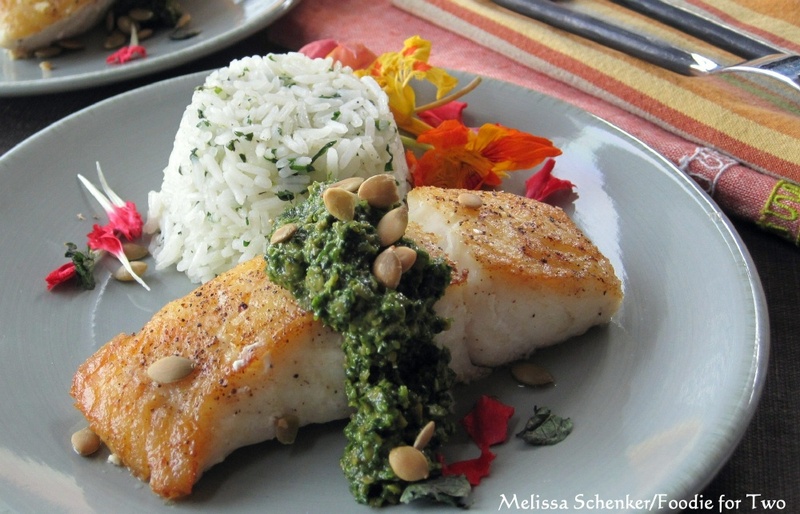 Try Seared Halibut with Cilantro Pumpkin Seed Pesto (plus edible flowers and jasmine rice). Fish is a quick, healthy option packed with nutrition. My favorite is Norwegian salmon, which I always cook, so I wanted to get out of my comfort zone……I first selected turbot because it is a more economical option than salmon, halibut and sea bass, but I hadn’t ever eaten or prepared it. As with other foods, I was determined to master a technique: getting a crispy, golden sear on the fish, which is perfect for salmon and halibut. I tried the searing technique with the turbot filets and it was a flop! They tasted great but the fish filets didn’t hold up to the high heat and stuck to the pan, leaving an unsightly mess (no photo shoot that afternoon). 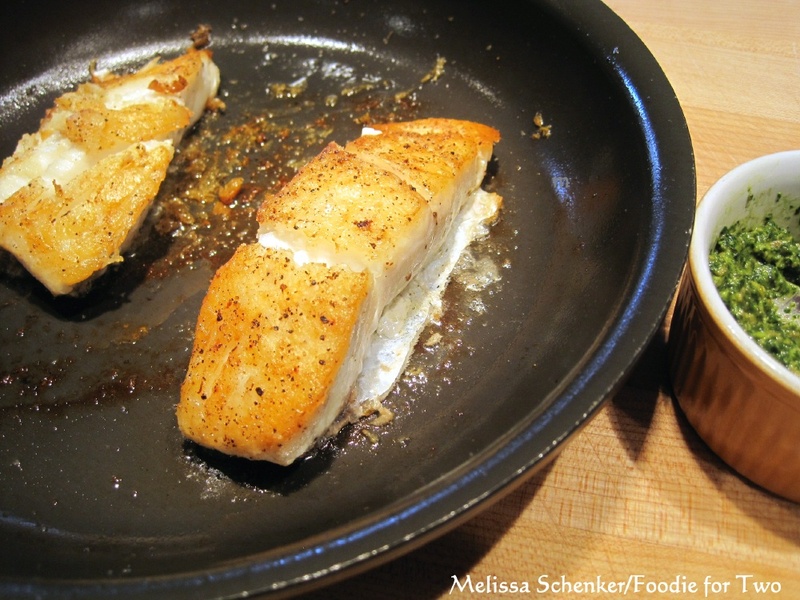 Turbot is a good fish to use for fish tacos or a baked recipe. So, back to the store I went for two halibut filets instead (choose filets with the skin on; adds flavor and easier to remove from pan in one piece). I also modified the jasmine rice recipe because the first idea got thumbs down from us both, it was too sweet. Sigh, it’s so deflating to my ego when two things flop in a meal! This is a perfect reminder to learn from my mistakes. It’s easy to get frustrated when I mess up food, but it provides an opportunity to analyze what went wrong and how to improve it the next time. Plus, it gives me more confidence and information for my mental kitchen toolbox. Let’s quickly talk about fishing methods, wild-caught and farm-raised. Then I’ll describe the searing technique. We basically buy our fish sourced from two different methods: either caught in the wild or raised/farmed in a controlled environment. My upcoming blog will discuss the differences between the two fishing methods and how to make informed choices. Okay, how to get a good sear? The tricks are a heavy-duty (not a non-stick) oven-proof skillet, a high heat and a hot oven to finish the filets. Open your windows because it will be aromatic. If the skillet gets really hot over medium high heat with a good coating of oil, I find it’s easy to get that scrumptious golden, crispy crust on the fish. I love butter but it will only burn with this method so I just use olive oil (or vegetable oil). The oven is heated to 400 degrees where the filets finish cooking after being flipped over. 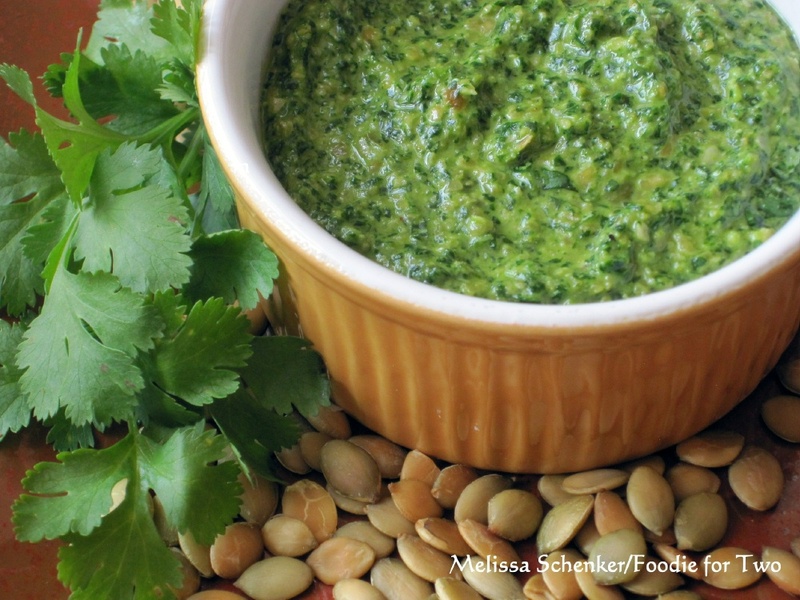 Pesto is another way to experiment with ingredients and flavors. 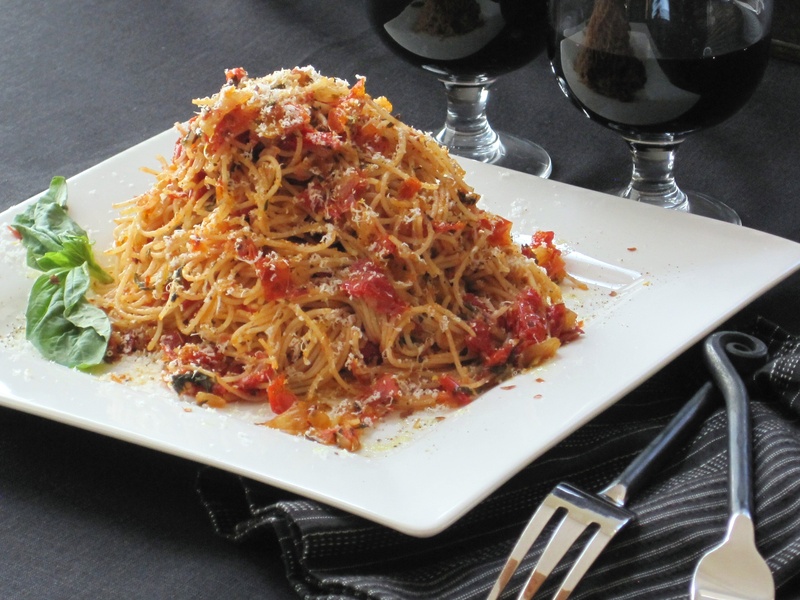 It doesn’t always have to be made with basil, pine nuts and parmesan cheese. I love Mexican food, so cilantro and pumpkin seeds seemed like natural pairings. Fresh orange juice adds sweetness and brightens the flavors – the result is a rich and tasty pesto that pairs well with the fish. It would also be good smothered over fish (turbot, tilapia, cod) before it’s baked. And it would be great just on toasted Crostini. The pesto can be made up to two days ahead, tightly covered and refrigerated. 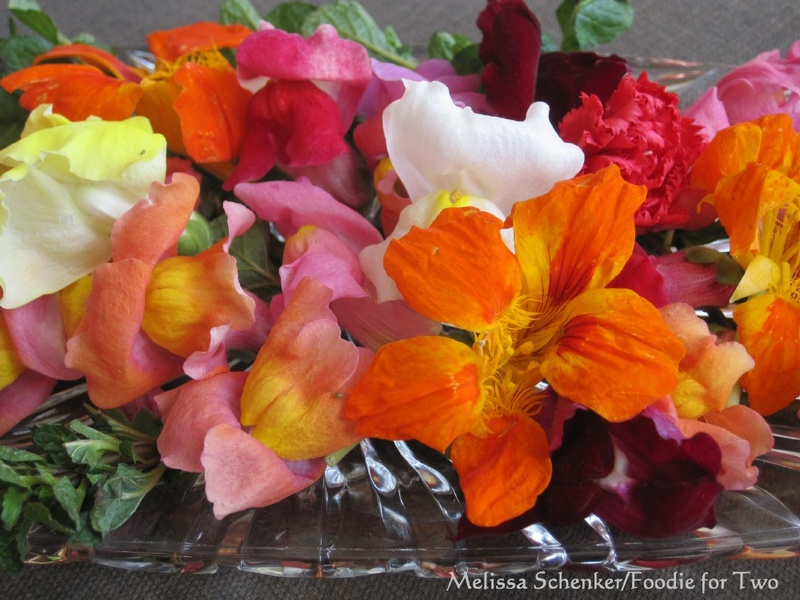 These organic, edible flowers were a small splurge (cost just a little more than packaged herbs) and fun to try. I found them at Whole Foods and they are Colorado-grown: snapdragons, nasturtiums, mint sprigs and carnations. When I tasted the nasturtiums, I was instantly brought back to my childhood and the little garden at our villa in Morocco, Africa. I would race my older sister and brother (Cheryl and Robert) to pick the fresh nasturtium flowers and slurp out the nectar! We didn’t know the sweet flowers were also edible. As an adult, it was fun to try edible flowers with the fish and rice; the snapdragons had a bright, fresh grassy flavor with a slightly bitter taste at the end. They each added a fresh complexity to both the fish and the rice. I had some leftover flowers and put a few in my wilted spinach the other night – they were a wonderful compliment to the buttery spinach. I highly recommend this splurge sometime! Here’s a quick recipe for a side of rice: Cook 1 cup jasmine rice according to package directions (include a pinch of salt and a tablespoon of unsalted butter). When cooked, add some cilantro, chives or scallions, lime juice, lime zest, olive oil, salt and pepper. 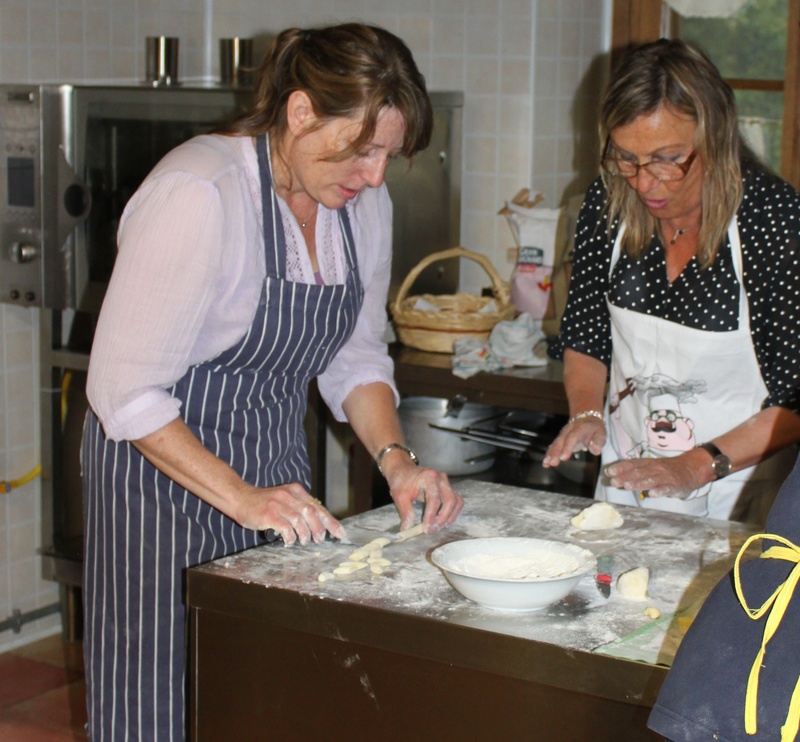 Stir together and serve. It’s that easy! 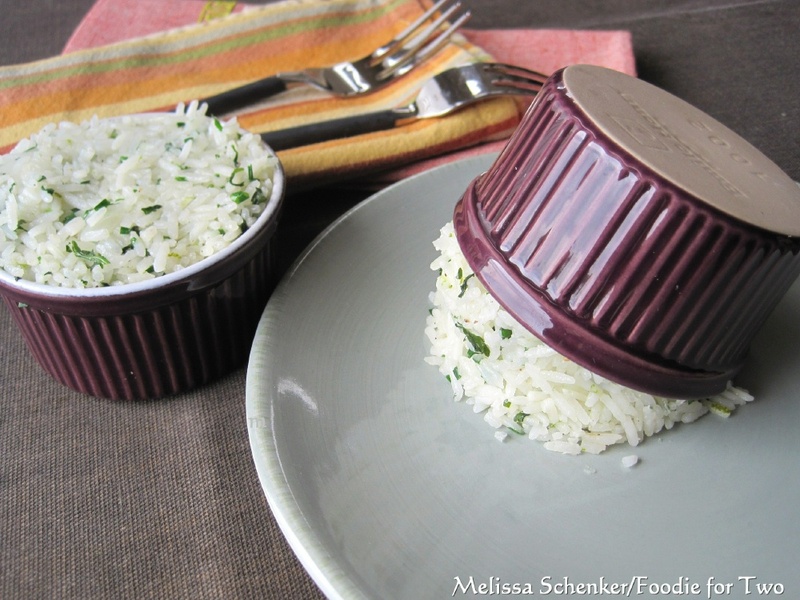 For a fun presentation, fill a ramekin (tightly packed) with rice and invert onto plate. If it doesn’t release just lightly tap the bottom. Heat oven to 400 degrees. Add a light drizzle of olive oil to the fish filets and season with salt and pepper. 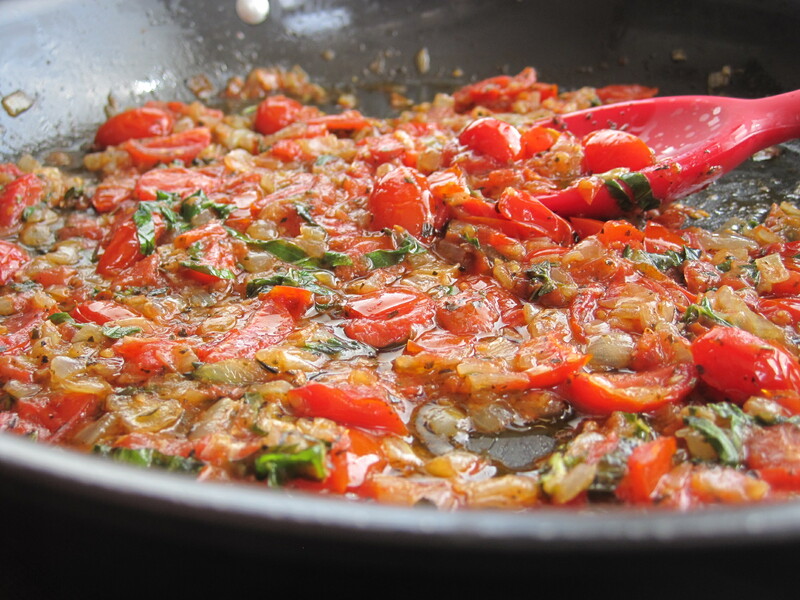 Heat a medium oven-proof skillet over medium high heat with about 1 ½ tablespoons olive oil, enough to form an even coating. When the oil just starts to develop ripples, lay the fish filets in the skillet, meat side down and cover with a splatter screen. Tip: when you lay the filets down, place them away from you so you don’t get splattered with hot oil. Cook without touching or moving the filets for about 8 minutes. Gently move the pan back and forth to distribute the oil around the filets every few minutes. When the fish is ready to be turned it will easily release from the pan. Using a spatula gently turn filets over, add a drizzle of olive oil around the inside edge of the skillet and place in hot oven. Cook for another 2 minutes. Fish is done when it flakes and meat is opaque in the center. Serve the fish with generous spoonfuls of the cilantro pumpkin seed pesto (garnish with a few pumpkin seeds), some lime and cilantro jasmine rice and if splurging, garnish with some organic edible flowers. Toast pumpkin seeds in a dry skillet over medium heat until golden and fragrant, about 4 minutes; stir often. Let cool slightly on cutting board. Measure out ¼ cup of seeds and save the extra for garnish. Add ¼ cup toasted pumpkin seeds plus the remaining ingredients to a food processor and pulse until well emulsified to a thick paste, stopping machine and scraping down the sides a few times. Can be made up to two days ahead; cover tightly and refrigerate.